Our Brasilian (Brazilian) exchange student, Joao, is an awesome kid. 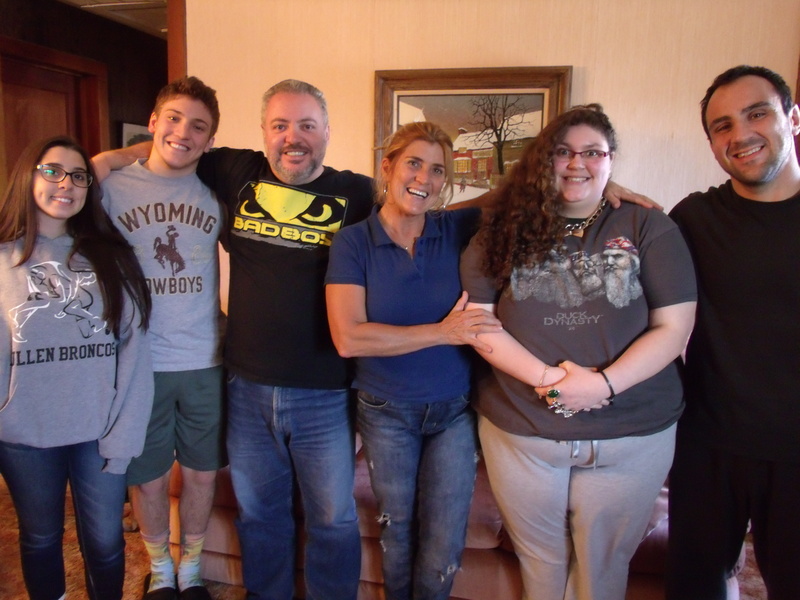 I finally got to meet his family, and Joao’s sweetness made sense. The apple doesn’t fall far from the tree, and his parents are super people! I met them at school earlier today, and Nuria, Joao’s mom, gave me and Ysabela gifts. (There was lots of hugging at school.) Marcelo, Joao’s dad, is a warm, loving person, so he’s perfect for Nuria. 🙂 I wanted Bela to meet the family as soon as possible, so we tracked them down after school. I would encourage you all to investigate the possibilities of intercultural exchange. I have seen first-hand how it changes lives. 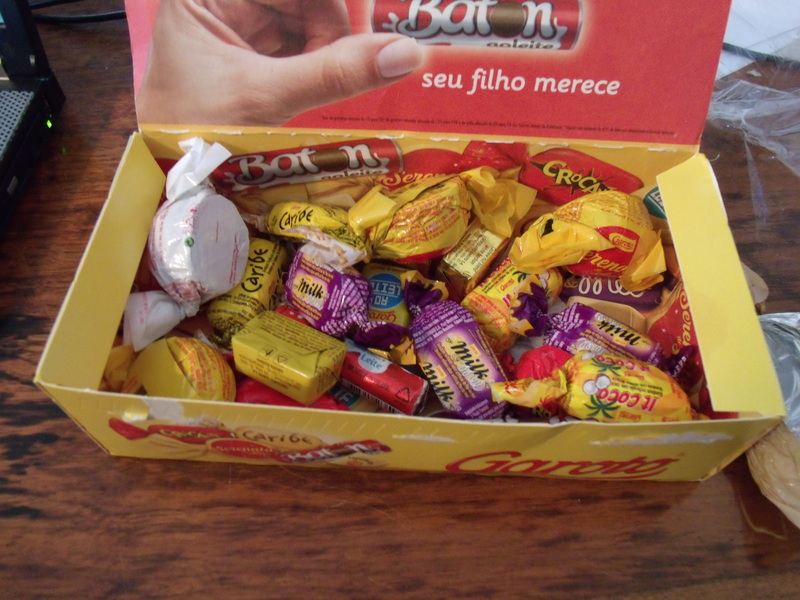 Bela shared some of her Brasilian candy with me! YUM! If Joao’s family is any indication, Brasilians are great people.